Nature is the Muse of many artists, whose desire is to recreate the beauty of flowers and plants. One artist in particular, the 20th century's Italian sculptor Alik Cavaliere, wanted to fix nature in a durable material that lasts through years. 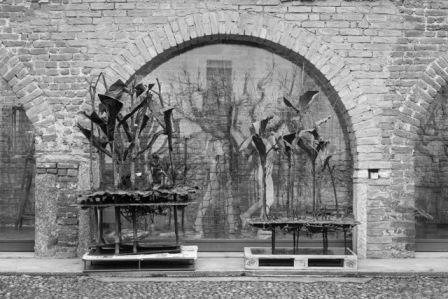 If you are curious about these unique creations and you want to discover a hidden corner of Milan, we suggest a visit to the Artistic Centre Alik Cavaliere: in an historical area of the city, a 17th century’s convent hosts the studio where the artist worked in his last ten years and more. Here you can immerse yourself in an enchanted interior garden, made by real and artistic natures that interpenetrate each other, creating a unique green space.